Finnish epic folk symphonic black metal band Avathar breaks its many years silence, returning with their first full-length album after 15 years! Avathar is a Tolkien inspired band formed back in 2000 as a two-piece project (Witch King and Scatha) until summer 2005. ‘Avathar’ is the name of a dark land in the south of Aman in between the mountains and the sea in J.R.R. Tolkien’s Middle-Earth. Ungoliant used to dwell there before she and Melkor destroyed the Two Trees of Valinor. 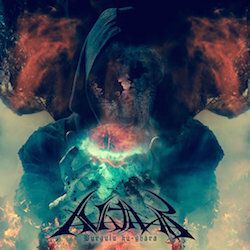 After several member changes, Avathar has now a full line-up and its new album goes by the name of “Bûrgulu kû-ghâra” (Shadows from Time), consisting of 13 songs of their own and 2 covers, some unreleased, some remakes of old ones. It is released digitally via Gollum’s Treasures, a new label dedicated only to fantasy-themed bands. If everything goes as planned, a physical release will follow.